P.S. I am Schools Attuned certified and consider Mel LEvine to be one of my heroes. There is no charge for registering. 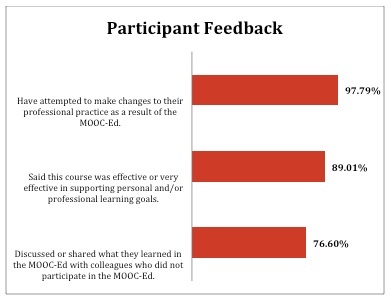 For help, please contact LC@mooc-ed.org or info@mooc-ed.org. I am interested in participating but experienced problems with links on the site. Also, emails to the addresses provided to the previous commenter bounced back. I am unable to access three links: The first two links in the opening paragraph of the blog are dead ends (“learning variability matters,” “importance of inspiring optimism”), and the Habits of Mind link (first topic) brings me right back to the page I was already on. Hi – Thank you for alerting us to the incorrect links; they have been updated. The first two have been fixed. Please advise where you are looking at the Habits of Mind link as we were unable to recreate that problem.